For those who know me, you know that I’m GenY, I’m a geek, I’m passionate about innovation, and I mainly tweet about digital, technology, and travel. I also share my experiences as a working girl and my talks in conferences that take me around the world. On December 9th, CWT Meetings & Events Ormès (an event agency that organizes seminars, congresses, conventions, incentives … and support their clients in their Meetings Management strategy) organized a Digital Day for their teams. It was a training day aimed at raising awareness on social networks and their use in the professional world. By the way, I say ‘bravo’ to them for this excellent initiative! 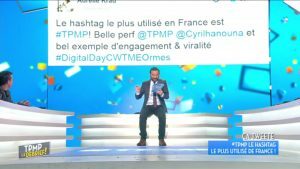 CWT Meetings & Events Ormès created a dedicated hashtag for this day (#DigitalDayCWTMEOrmes). As an advocate of this special day, of course I showcased good practices: I teased before the event, and I live tweeted on D-Day to boost the digital resonance of the event. And here we are … Who would have thought that this Digital Day was going to have such a resonance thanks to 1 tweet only! Before I went on stage, another presenter (Brainsonic) did a great intro and shared some background information: ‘must knows’ about the web, main characteristics of each social network etc. Emmanuel (@fandecine) asked the audience what is the most used hashtag in France. Well the answer is: #TPMP. It’s a TV show called “Touche Pas à Mon Poste” presented by Cyril Hanouna on C8 channel. It is extremely popular among NextGen, a sort of laid back talk show that comments everything that happens on French TV (new shows, presenters etc.) in a friendly (very friendly!) atmosphere. I thought this information was interesting and very powerful, so I decided to tweet it and congratulated the team of the show for their nice performance. How a simple tweet to relay a fact turned into a media info! • Dozens of ‘likes’ and RTs in less than 15 minutes. • Answers from fans as well as detractors that criticize the show. • @CyrilHanouna‘s account follows me. • The editor-in-chief of the show contacts me via DM to cross check the information. Then a few hours later … the amplification! At the end of the Digital Day, around 5 pm, I decided to share with the teams the statistics of my tweet. I thought this was an excellent use case to showcase virality – perfect fit with the theme of the training ! Funny… because it became controversial. Some employees did not appreciate the fact that their company was associated with the name of TPMP. Interesting. This was the perfect opportunity to explain my approach: I tweeted a fact that is a piece of information contextualized in relation to the purpose of the training that my client delivered to their collaborators. And I take this opportunity to congratulate the TPMP teams for the performance. No statement on the TV show itself. • My tweet on TPMP show! • A crazy resonance! ! In total the tweet counts 27 answers, 247 RT and 719 I likes ! The program on December 5th 2016 brought together 1.46 million viewers. This means that potentially 1.5 million people have seen my tweet live on TV! The simple fact that my tweet triggered reactions both in the meeting room AND online means to me: mission accomplished! That is finally what we call a buzz! That’s influence! • Shared by the right person/community at the right time, a message will become viral: that is the effect of influence. The mechanism of influence is very simple. It has 3 pillars (the 3R): the Reach, the Resonance and the Relevance. What happened on December 5th 2016 is that I ended up being the initiator of a post that generated many interactions. I take this opportunity to redirect you to my Slideshare where I shared several presentations on Influence Marketing. Without hashtag, any information is very unlikely to be visible and to become viral (unless you’re a star and you have a huge community, in this case a post can live on its own). But above all, without hashtag, it is difficult to measure precisely the engagement around a campaign. Let’s pick up my tweet as an example. #TPMP triggers massive reactions in France. The popularity of the show is widely due to its huge community. One of the secrets of the success of TPMP show is to involve its community and solicit people live via social networks. Cyril Hanouna (the presenter of the show) constantly engages with the fans of the show on Twitter by launching games, polls, by giving them the opportunity to control the content of the show etc. We are in a context of real-time interaction, of instantaneity. #TPMP even generates storytelling. How do we translate this into the BtoB world? Well, did you realize that mechanics are exactly the same? You just have to know how to adapt them to the professional world. • The identity of your brand cannot be considered without the digital channel, and especially social media. Refine your positioning, and above all evaluate what is your level of maturity regarding these (new) codes of communication. • Create a hashtag when you launch a marketing campaign, and most importantly measure its impacts. 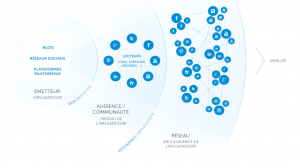 N’organisez jamais d’événement sans hashtag ! • Never organize events without hashtag(s)! If you want to discuss this in more details, you know where to find me! (In fact, everywhere! 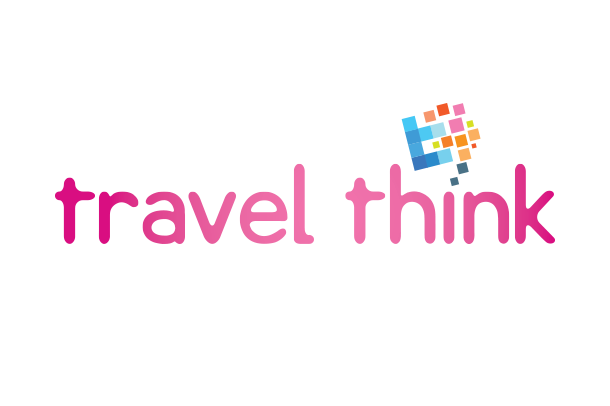 Twitter, LinkedIn, Instagram, Facebook, Snapchat… or via TravelThink’s website contact form!). WHEN MY BLEISURE ADVENTURES MAKE ME DREAM OF CONNECTED CARS! Dazzling Dubai – Perfect for Bleisure ! Captivating Cote d’Azur – Perfect for Bleisure!